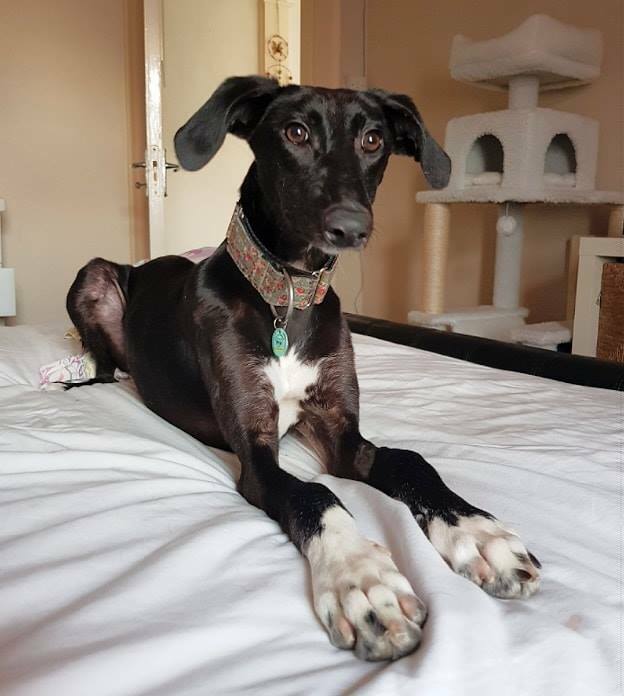 Seren is a 1 year old petite whippet saluki cross. She is such a sociable girl who adores people and is fantastic with other dogs and cats. Seren would love a home with another dog as she’s prefers company. She would also prefer a home where her humans aren’t gone all day. Seren came to us with a broken back left tibia. She’s still on crate rest and will be for at least another 3 weeks. She is happily weight bearing on the leg and hopefully won’t have any issues in the future. She’s a medium energy girl, is great on the lead and will need to be walked daily when her leg is better. Seren has been spayed, fully vaccinated and microchipped. She will be ready for a new home when she gets the all clear from the vet.